Bully has not stopped since the the release of their ferocious and powerful sophomore album Losing last Fall. The Nashville 4-piece is headed by Alicia Bognanno, who’s songwriting not only cuts to core but has a vocal snarl unlike any other. Bully will be embarking on a huge world tour, starting in the US later this month which features stops at Teragram Ballroom in Los Angeles, Aladdin Theater in Portland, Neumos in Seattle and many more. Bully will also perform at Shaky Knees Festival and Noise Pop Festival. Don’t miss your chance to see one of the most exciting live bands on the road right now. Losing is available now from Sub Pop Records and from Bully’s webstore. The album was engineered and mixed by lead-singer Alicia Bognanno in Chicago at Electrical Audio. Kyle Craft’s Full Circle Nightmare is out today! Have a listen here, then buy it here. 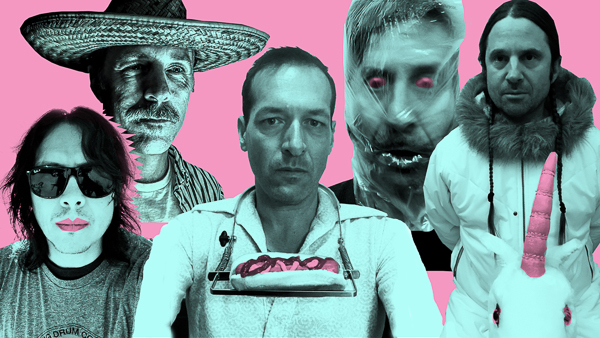 The album, featuring highlights “Heartbreak Junky,” “The Rager,” and “Exile Rag,” was produced by Chris Funk (of the Decemberists), with mixing by Trevor Spencer (Father John Misty) and Benjamin Weikel and Brandon Summers (of The Helio Sequence). Full Circle Nightmare is the follow up to Dolls of Highland, his acclaimed debut. 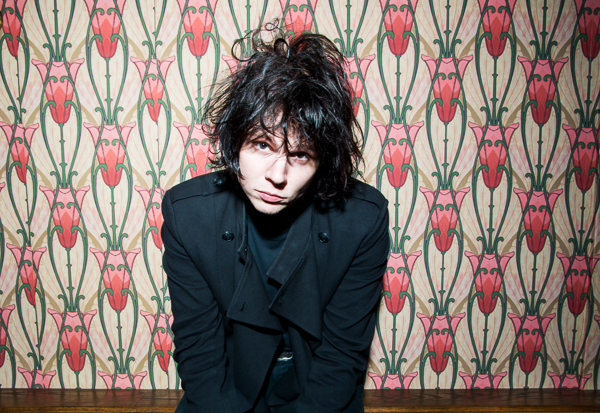 Kyle Craft’s previously announced 2018 tour schedule in support of Full Circle Nightmare spans March 5th in San Francisco at Cafe Du Nord through April 20th in Charlottesville at Jefferson Theatre. Highlights include a full headlining tour (March 5th-April 4th), appearances at SXSW (March 12th-16th) and a direct support slot opening for Dr. Dog (April 6th-20th). Preceding the spring dates, Craft continues his Pacific Northwest week-of-release run with his sold-out show tonight at Portland’s Doug Fir (Feb. 2nd). 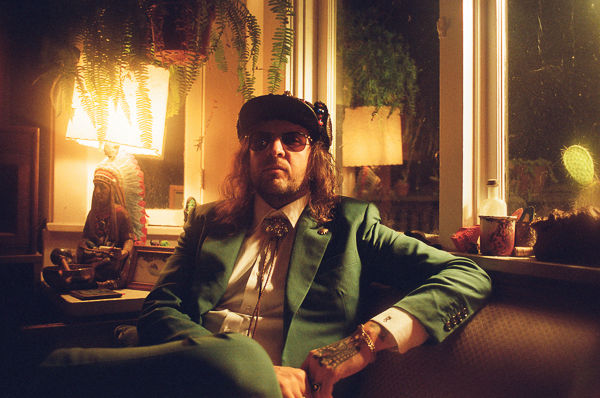 Last week, Kyle Thomas - aka King Tuff - released his first new song in four years, titled “The Other,” which NPR called a “meditative deliberation and mystic reflection.” Today, he’s excited to share that the song will be also be the lead track on his new album of the same name. The Other will be out on Sub Pop Records this April 13th, and is available for pre-order HERE NOW. 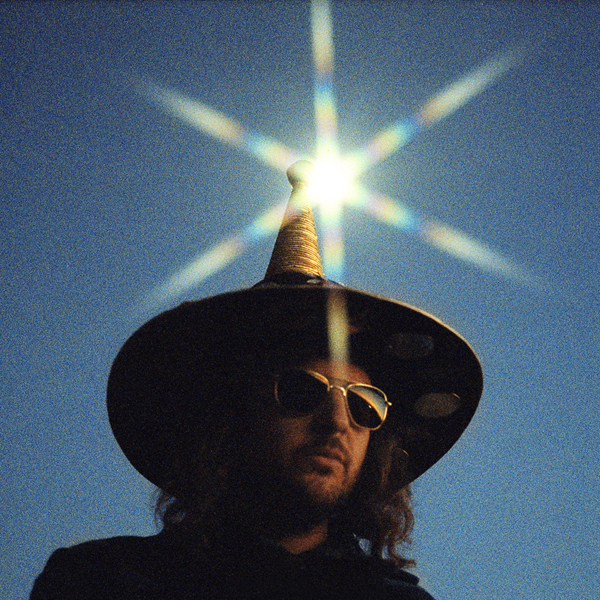 Today you can also hear the official first single from the album, “Psycho Star.” It is a prime representation of King Tuff’s soulful and cosmic new direction. You’re now listen to the song via the Cameron Dutra directed visuals above. Thomas self-produced the record and brought in Shawn Everett (War On Drugs, Alabama Shakes) to assist with the mixing process. No less hooky than previous records, the new songs ditch the goofy rock-and-roll bacchanalia narratives of earlier records in favor of expansive arrangements, a diversity of instrumentation, and lyrics that straddle the fence between painful ruminations and reconnecting with that part of yourself that feels childlike and creative and not corroded by cynicism. The record features contributions from Ty Segall (drums), Jenny Lewis (vocals), Greta Morgan (vocals), and Mikal Cronin (saxophone). 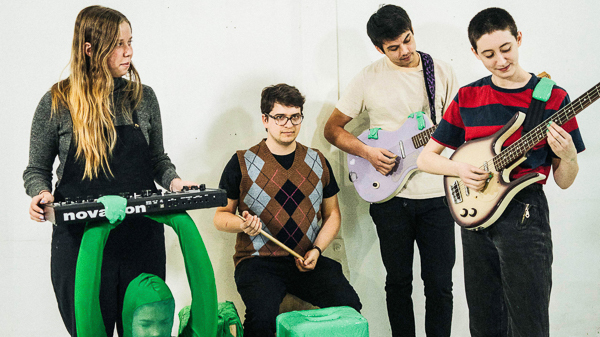 Vessel, the latest offering from NYC-based band Frankie Cosmos, is available worldwide on March 30th, via Sub Pop Records. This 18-track opus finds bandleader Greta Kline’s distinctive songwriting voice enriched by the musical sensibilities of her bandmates– bassist/vocalist David Maine, keyboardist/vocalist Lauren Martin and drummer Luke Pyenson, who each played a role shaping the sound of the new record. Preorders for Vessel are available now through Sub Pop right here. LP preorders through megamart.subpop.com and select independent retailers will receive the limited Loser edition on blue vinyl (while supplies last). The band will embark on a world tour in support of Vessel beginning on April 5th in Boulder, CO with stops in Santa Fe, Los Angeles, Seattle, with newly added US and European dates in May and June. See below for a full list of shows. Moaning have shared a surrealistic new video for “Tired,” a highlight track from their forthcoming self-titled Sub Pop debut, which will be out in the world March 2nd. “Behind closed doors we experience a series of strange stories: A house catches fire, a giant hamster takes a bath, and a series of objects spontaneously combust. The “Tired” video plays with analog special effects, creating dream-like environments and scenarios,” says director Ambar Navarro (Stef Chura, Anna Burch). “Tired” co-stars the band alongside Casper the Hamster, Mr.Maggie the Cat, and 2 lucky goldfish, and was shot at Titmouse Studios in Los Angeles. 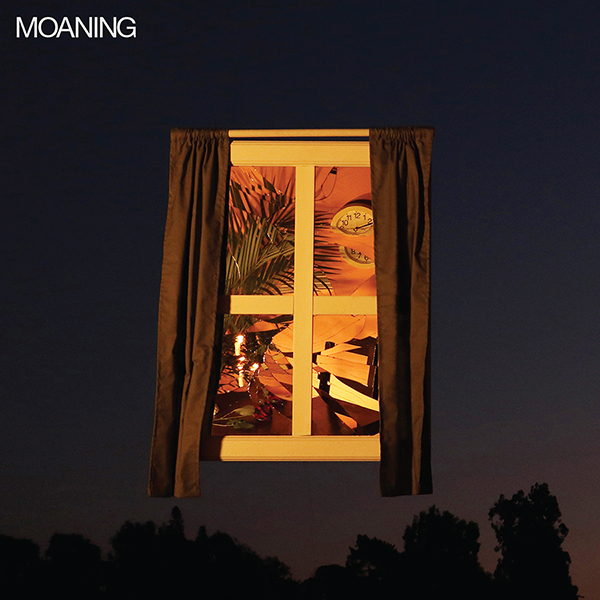 Moaning will be available on CD/LP/CS/DL worldwide through Sub Pop right here. LP preorders through megamart.subpop.com and select independent retailers will receive the limited Loser edition on pink vinyl (while supplies last). A new t-shirt design will also be available. Moaning’s international tour schedule for 2018 in support of the album has been extended through June 10th. New highlights include appearances at Treefort (Boise, ID), 3 Les Elephants (Laval, FR), London Calling (Amsterdam, NL), This Is Not A Love Song (Nimes, FR) and Best Kept Secret (Hilvarenbeek, NL) festivals. Additional tour dates to be announced soon. 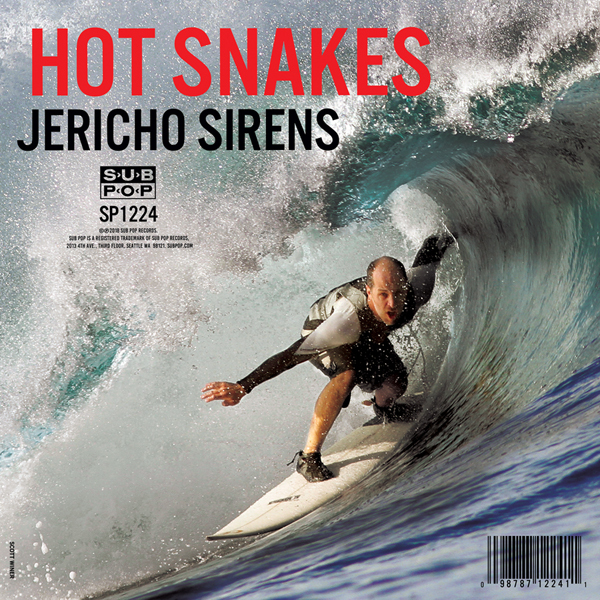 As previously announced, Friday, March 16th, 2018 will mark the release of Hot Snakes’ Jericho Sirens, the long-awaited fourth album (and first in 14 years!!!) from the San Diego-based punk rock recidivists. For your listening enjoyment, we now share the second single from the band’s new record, entitled, “Death Camp Fantasy.” (also available on Spotify and Apple Music. Jericho Sirens is now available for preorder - available on CD / LP / DL / CS - from Sub Pop [right here]. And the band’s newly reissued catalog - Automatic Midnight, Suicide Invoice and Audit in Progress- is also available now on Sub Pop [over here]. The band will play a hometown release show in San Diego at the Casbah on March 7th, which is then followed immediately by a midwestern U.S. tour March 10th-16th.